Exploring the themes of death and its place in different cultures has become a sort of an obsession for Ximena Rendon a young figurative painter from Mexico. 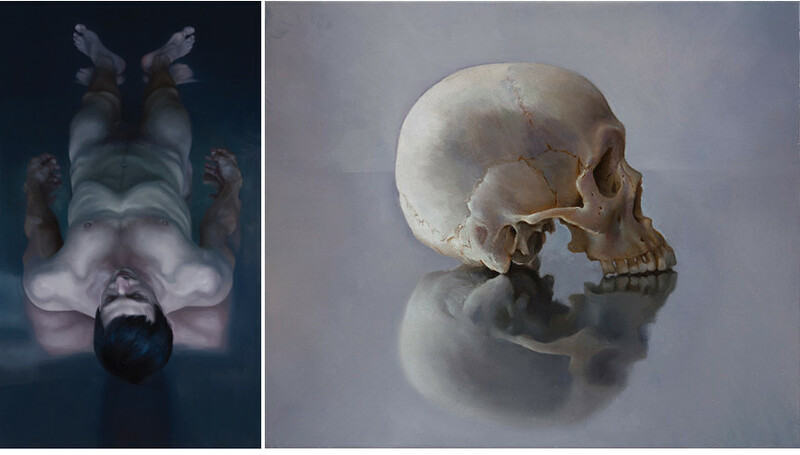 Oil on aluminum is her material choice as the artist sets sail to examine the themes of death and mortality. Her simple representations of corpses and skulls are painted from and awkward angle and appear to be sitting on mortuary slabs, a location that her choice of material directly references. The artist begins her day by heading out to the studio where she’s listening to the podcasts while she working on her pieces. 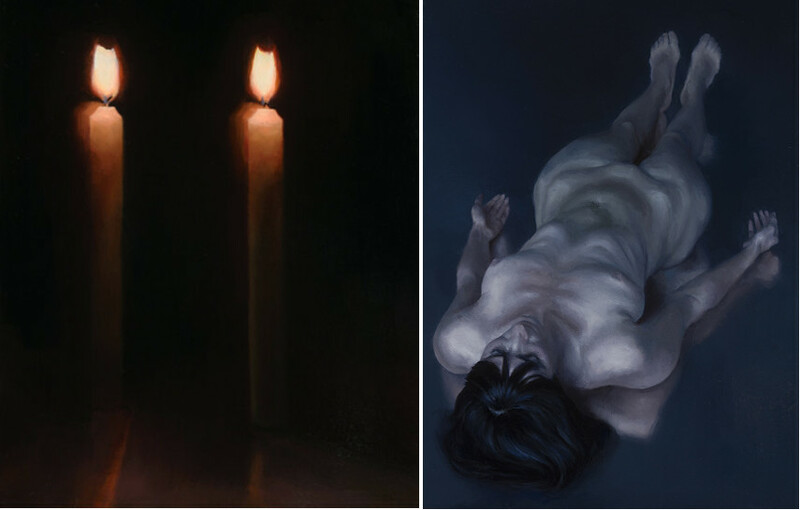 Melancholic lectures and podcasts with the topic of mortality really help her to get into the mood for painting her dark imagery. The painter’s interest in death goes beyond the artistic and visual as the painter observes the phenomenon from several angles taking philosophical, historical and religious perspective into consideration. Her work revolves more around a theme than a story which makes her works more focuses and less narrative. 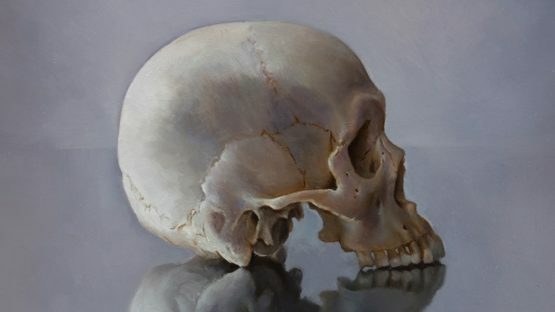 Her artworks require a high level of anatomy recognition and the artist continues to study on that topic and even uses a teaching model of a human skeleton to make her artworks closer to life. Through an array of the scientific anatomy books, the painter expands her knowledge about the human body and perfects her artistic representation of it. Her paintings are dark and sinister with an array of dead bodies occupying the canvas. Painter Ximena Rendon was born in Mexico City where she began her art education by studying drawing and painting. Since she was unhappy with the education she was getting in 2007 the artist moved to San Francisco where she enrolled into Academy of Art University. In 2011 she graduated from the Fine Art department after which she enrolled into M.F.A Painting program, which she completed in 2015. An ongoing body of work entitled Postmortem represent a reaction to the death of her mother and a way to deal with it. By confronting the viewer with the unavoidable destiny of all living beings, Mexican painter aims to evoke both filings of discomfort but also of tranquility. By depicting death in its many forms the artist also makes us wonder about the life of her deceased subjects thus commemorating their life as well. The artist participated in numerous group shows in Bay Area, showing her work at Sf Wonderland, STUDIO Gallery and Spoke Art. In 2015 the painter was awarded the BoldBrush award. She lives and works in San Francisco, USA.